It's been a long time since we first heard the title back in July(!) but Thursday's Weekly Famitsu is going to formally reveal the latest game in the Sengoku Basara series. According to the official preview on the Famitsu website, Sengoku Basara: Sanada Yukimura Den (Sengoku Basara: Sanada Yukimura Legend) is going to be released in Japan in summer 2016 on both PlayStation 3 and PlayStation 4. 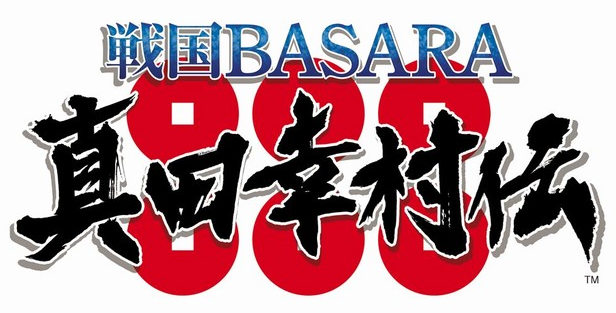 The preview article describes it as being part of the Sengoku Basara Retsuden Series (a retsuden means a historical record of someone's achievements but they're spelling it slightly differently on purpose, so let's go with 'Sengoku Basara: Blazing Saga' or something for now). It says to expect a new 'Sengoku Drama' depicting Yukimura's life. Interesting. The full details will be published in the magazine along with a staff interview so I'll grab a copy tomorrow night and take a look. It would seem to be a safe bet to assume that this is what KobaP will be talking about at the weekend's Jump Festa stage presentations. Edit: BlackKite has already done some digging and it seems that we're going to be seeing Sanada Masayuki and Sanada Nobuyuki, and Date Masamune will be playable at some points in the game. Yukimura and Masamune will get things 'like new outfits and new attacks'. The leaks also cryptically mention that stages such as Osaka Castle will have new gimmicks they'll be different to before, which could imply that that they're using the same game engine. I'm torn between being sad that I was working late today so I missed all of the initial excitement, and happy because it means my social media feeds are full of pages upon pages of delighted Yukimura illustrations already. I can't wait to read up on everything I missed! Hey, I guess all of YamamotoD's relentless hinting about wanting to do something like Bontenmaru-hen for Yukimura someday was referring to this. 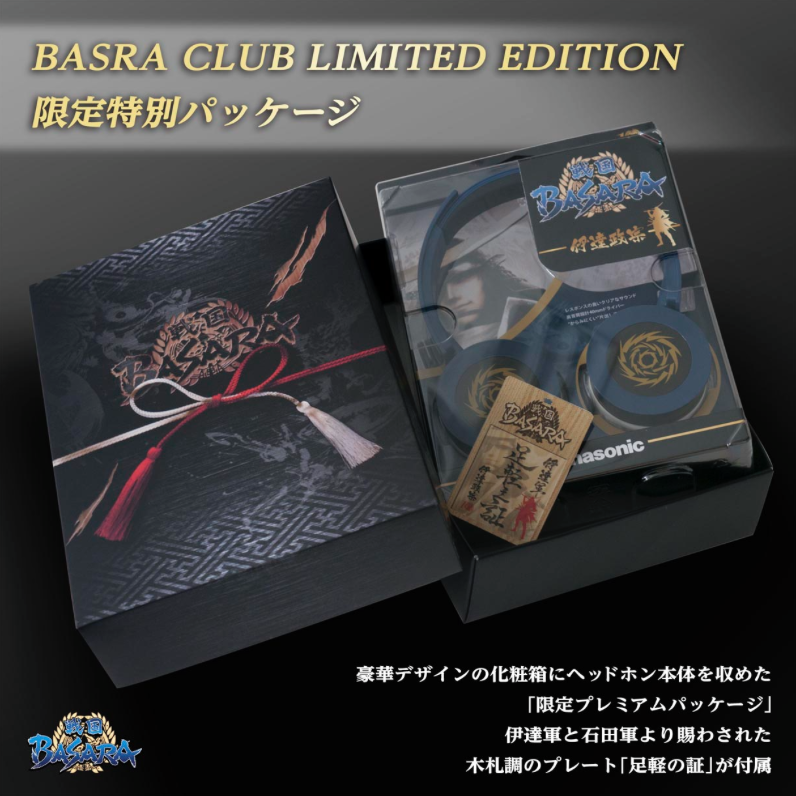 The other big news today, which in retrospect is rather less exciting than a brand new game, is that leading electronics manufacturer Panasonic will be teaming up with Capcom to release Sengoku Basara headphones with both Date Masamune and Ishida Mitsunari designs. 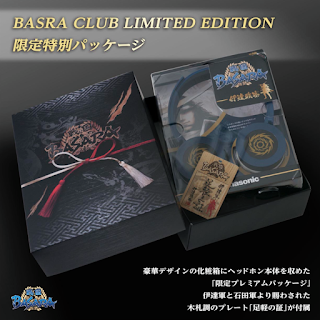 BASARA CLUB fan club members with very quick decision-making skills can place their preorders between now and Sunday to qualify for the exclusive 'premium package' edition of the headphones, which is priced at ¥9,698. This edition comes with special packaging and a wooden tag proving that the owner is a foot soldier in the Date or Ishida forces. 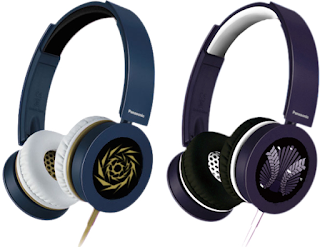 Fans who just want the standard headphones without the premium package (¥8,618) will be able to preorder at a later date. Delivery is scheduled for March 2016. Awesome! The headphones are cool (although it's a shame there is not Sanada Yukimura design). If the new game does well perhaps we'll see Yukimura and Ieyasu (or Sakon - poor Ieyasu) designs in a future batch! So stoked for this. Sanada's my fave character, and I felt like he was getting shafted gradually over time in the game stories, so to see such a dedicated project like this really thrills me. Wonder if they'll change anything for the gameplay. Keeping it musou would be the obvious thing, but a more free style action game could be interesting. Gahhhhh....I really need more info. Wonder what the new costumes will look like. Didn't like the alt. costume in SB3, but the SB4 one were alright. Yes! I'm glad I was only expecting a mobile game; when I saw it was coming for consoles instead I jumped for joy. This should be a big boost for Yukimura and his ever-patient fans. I hope today's reveals with the costumes haven't divided people too much (lol). I'm not sure how they're going to work Shingen in properly. It will be weird if his relationship with Yukimura changes, but it's presumably going to have to if they're making the game more historically accurate. Then again, they could have Masayuki borrow Yukimura's relationship with Shingen and young Yukimura could act the same way to follow in his father's footsteps; it might work. I'm now even more convinced Masamune's in the game as a token aspect for the sake of fans then a super integral part, so Kojuurou just being in the background wouldn't surprise me, lol. But yes, cameos a plenty would be great. Though I should probably read up on the real man to get an idea of who to expect. Makes me wonder; if this is gonna be an ongoing series, what would people like Ieyasu - whose greatest achievement was becoming the Shogun after Sekigahara - bring to the table? It would almost be like SB3 with a set story, wouldn't it? I could see Ieyasu getting a game of his own someday since he's universally famous and it would be cute to see his old character design showing up again - but then again it might be best to leave Sengoku Basara 3 as his story for now and just feature him in other characters' spin-offs at the appropriate times. I'd prefer they picked one of the characters who were more relevant earlier in the period next if possible, to give us a balanced variety in the stories. On a similar note I was wondering about Mitsunari. He's insanely popular but it's likely (in my opinion) that this game will already cover some of his big moments in the course of its story. I wonder whether they'll try to incorporate his relationship with Yukimura from Judge End or do something different this time?